For over 40 years Americans were forbidden from owning gold coins. FDR’s Depression-era restrictions were finally lifted in 1975, ushering in a new era of opportunity for investors. 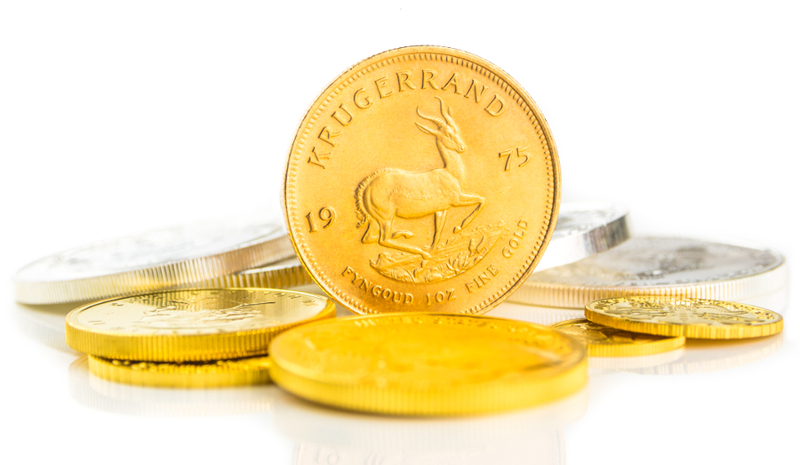 For the next decade there was one coin that became synonymous with gold – the Krugerrand. With South Africa positioning itself as the world’s top producer of gold, the Krugerrand was developed as a way to market South Africa’s gold to investors abroad. The coin’s obverse features an image of Paul Kruger, the President of the South African Republic from 1883 to 1900. The reverse features an image of a springbok, an antelope commonly found in southern Africa. First minted in 1967, the coin quickly became one of the most popular bullion coins in the world. By 1980 the Krugerrand dominated the world market for gold coins with a 90% market share, and tens of millions of Krugerrand coins have been produced over its history. Due to the South African government’s policy of apartheid, numerous governments including the United States began to ban imports of the Krugerrand in the 1980s. They also began to mint their own gold bullion coins to service continued investor demand for gold coins. The United States banned importation of the Krugerrand in 1984 and began production of the American Gold Eagle in 1986. Despite the American Gold Eagle supplanting the Krugerrand as the dominant gold bullion coin in the United States, the Krugerrand remains an incredibly popular coin for many investors. Like many other popular bullion coins, the Krugerrand is available in numerous sizes: 1 oz., ½ oz., ¼ oz., and 1/10 oz. One-ounce Krugerrands are generally cheaper to buy than American Gold Eagles, with the premium normally around 2.5-3%, while premiums on the smaller coins can be higher, ranging up to 20% on the 1/10 oz. coins. Minted from the same 22-carat gold alloy as the American Gold Eagle, the Krugerrand, unlike the Gold Eagle, is not available for investment through a gold IRA. It’s very well possible that the legislation authorizing gold coin investment through IRAs was specifically written to exclude the Krugerrand and benefit the American Gold Eagle. Still, for the investor who wants to keep a few commonly recognizable gold coins on hand for emergencies, or for the philanthropist who wants to drop a gold coin into a Salvation Army bucket at Christmastime, the Krugerrand can be an excellent choice. 1 ounce: 1 troy oz. ½ ounce: ½ troy oz. ¼ ounce: ¼ troy oz. 1/10 ounce: 1/10 troy oz.